Although I still love holding a paper magazine (and have subscriptions to plenty of them), I’m pretty darn excited about digital magazines and their advantages over print. I wrote about that in another blogpost, but in a nutshell; the interactivity, the video/ audio capabilities, the analytics you can track, the ability to communicate with the author of each article on social media as soon as you’ve read it. Plus the kindness to the environment – no more paper or transporting them across the country – is an added bonus. But is the general public as excited about digital magazines as I am? Though many people were skeptical of the success of digital books, we’ve seen a massive uptake of them over the last 3-5 years. 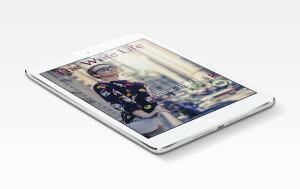 This left us asking whether smartphone and tablet-based digital magazines might be the next big trend in e-publishing. Many people are still unaccustomed to reading magazines on their phone or tablet, but eReaders were also shunned by many in the beginning as being difficult to use and unsatisfying to read on. – App analytics allow for detailed tracking capabilities. This is a huge advantage over print advertising, as it allows for research agencies to track – and prove – how engaging and effective their advertising in each publication is. It’s every advertiser’s dream come true! So what do you think? 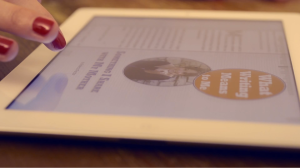 Are digital magazines going to take off in the same way that eBooks have? Or do you think paper magazines have the advantage? Leave a comment!